In addition to the major planes of Oblivion, there is an almost unlimited number of so-called "pocket planes," small self-contained realities where the ordinary rules of nature may or may not apply. 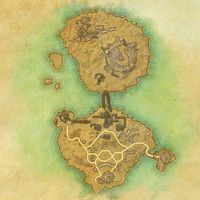 The Isles of Torment are a pocket-plane of Coldharbour, mystically connected to the Moonhenge in Greenshade. This page was last modified on 30 December 2015, at 22:59.